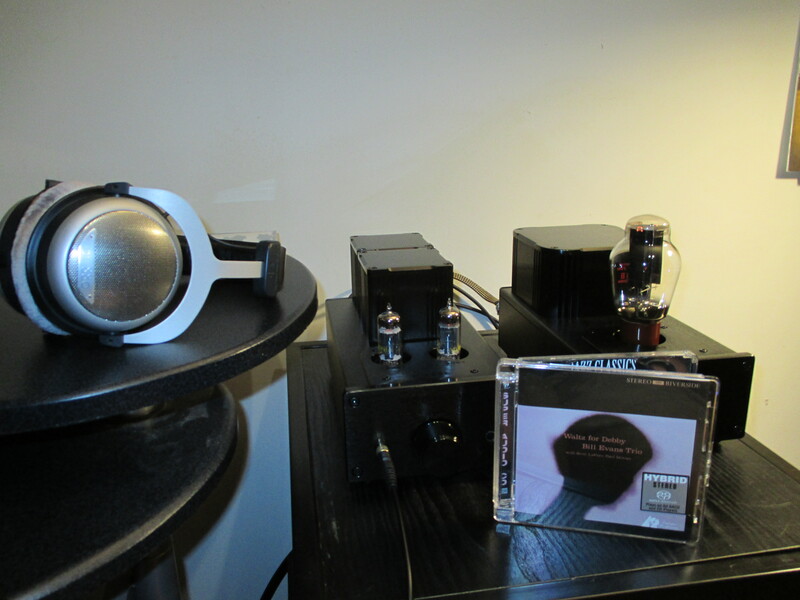 Review sample kindly provided by Brosseau Audio, St. Hubert, Quebec. At the 2014 SSI Montreal audio show I chose Woo Audio and Brosseau Audio (with its line of DALI speakers) to be the co-winners of the “Room of the Show” Award. Woo and DALI brought a large sample of their product lines and there were no duds. In fact, in each case, there was an embarrassment of riches, a ‘paradox of choice.’ I mean, how to choose between the Woo WA2 and the WA22? Or the WA6 and the WA6 SE? Each amp is at the head of its class. Ultimately, your headphones’ impedance might dictate which Woo pleases you the most. Likewise, the size of your room will dictate which DALI speaker to buy. You can’t go wrong. In Montreal, the friendly Jack Wu was on hand to demonstrate his unusually rich and deep line of products. Is there another headphone amplifier company in possession of such a string of pearls, each one more lovely than the next? Let’s hope that Mr. Wu, one key player in this family firm, is but one of many baton carriers to come in the relay race of Woo Audio’s life. These are solid products, built for two score years or more. Woo Audio products look and feel like five figure pieces; Woo could easily raise its prices but chooses not to. Woo now has a good network of distributors and dealers, including Brosseau Audio in St. Hubert, Quebec, which kindly sent me a review sample. Yet even as Woo expanded its dealer network, it did not raise prices! Woo has recently added world class DACs and CD players to its line. Woo makes no weak products. The more you spend, the more you get. But the entry level is of such high quality that many people would be happy to stop right there (thank you very much). Me, I need an amp with a muscular touch. So up I go to the lower-mid level in the Woo stable. I think the best bang for the buck in the Woo Audio product line (some 16 products strong) is the $1190 WA6 SE. At the Montreal show, my ears preferred the Sennheiser HD 800 paired with the Woo Audio WA6 SE, to the more expensive rigs. I thought this system had it all: comfort, airiness, drive, slam, and warmth. The Senns’ highs were tamed, yes. Once you deal with that potential problem, the Senns can deliver an out of body (out of head?) experience. You can literally forget that you have headphones on. You cannot do that with heavier cans. Stax can do this too. With the Woo’s low noise floor and my Beyer DT880s (600 Ohm) I can hear more deeply into the unforgivable banter that accompanies the live recording of Bill Evans, Scott LaFaro and Paul Motian at the Village Vanguard in 1961. Through the HiFiMan HE400–an easier load to drive–Gordon Grdina’s wonderful SACD, “Think Like the Waves,” comes to life like never before. The late great Paul Motian features on both discs. The Woo simply nails the cymbals. They shimmer and glisten without becoming etchy. But back to the Woo clan of amps. At the SSI show in Montreal, I could find no fault in any Woo amp. There were seven to be sampled. Each one sounded magnificent, grand, bold, large, airy, and sweet. I spent a couple of hours in the Woo room. My initial impressions of the WA6 SE have been confirmed over a few dozen hours of listening. This is a world class amplifier. It is quiet, as an amp with a separate power supply, a toroid and two chokes should be. It is powerful, rhythmic, sweet, and alluring. It is precise, incisive. It has warmth, yes, but this is no blunt instrument. It drives home the notes. Electric guitars bite and bounce. For the guitar players in the audience, think Tung Sol 5881 or Philips 6L6WGB tone. It is punchy and to the point when the music calls for it. But given its low noise floor, it will hang on to the note like a great preamp such as an Audio Research LS17. The WA6 SE has the feel of a $10,000 product. It is serious eye candy. There are no rough edges. The volume knob feels as heavy as an 8 ball. And you can actually use it! You can go to 11 before the music gets too loud. This amp is versatile. With an output for both high and low impedance headphones, the WA6 SE might be the only amp you need. It is transformer-coupled with a robust power supply therefore it can handle virtually any load. Left: Paired with the amazing $480 Musical Paradise MP-D1 DAC. Quite possibly the best DAC under $1000. Right: the Woo left my wonderful Crack, decked out with the finest NOS Mullard 12AU7 and the majestic NOS Tung Sol 5998, in the dust. It was no contest. My Woo amp came with two NOS Sylvania 6DE7, which are dual triodes each with a drive and power section, and a huge Shuguang 274B rectifier in the separate power supply. Since no power cord is included, I used my DH-Labs/Connex entry level cord. These power cords, available from PartsConnexion in Ontario, are giant killers. Tubularly speaking, I rolled some of my own–a GE 5U4G, a Sylvania 5U4G. I went back to the Shuguang; it sounded way better. 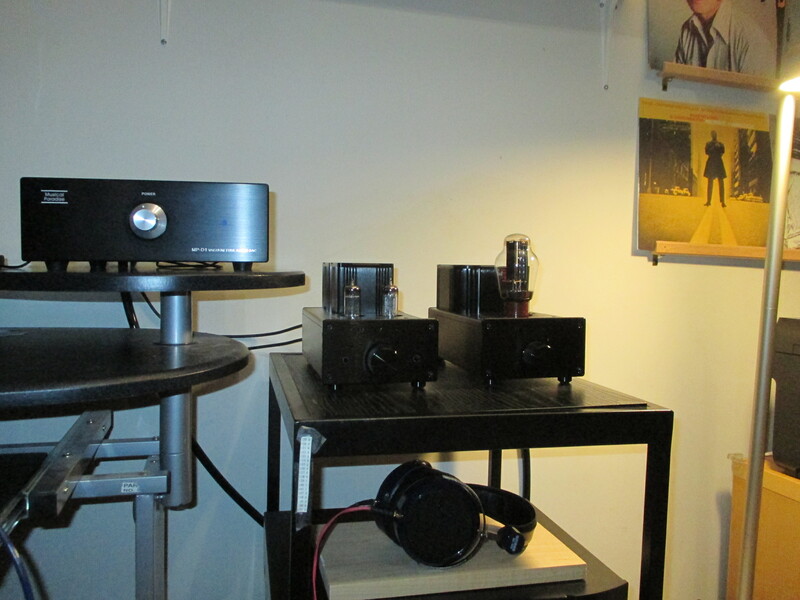 The amp can produce one watt of power and can pair with any headphone from Grados to Sennheisers to Beyerdynamics. In Montreal I found it had no trouble driving Audezes. I listened with a Musical Paradise MP-D1 DAC fed with AIFF files from my Mac and I listened to redbook CD and SACD on my Marantz SA8003. 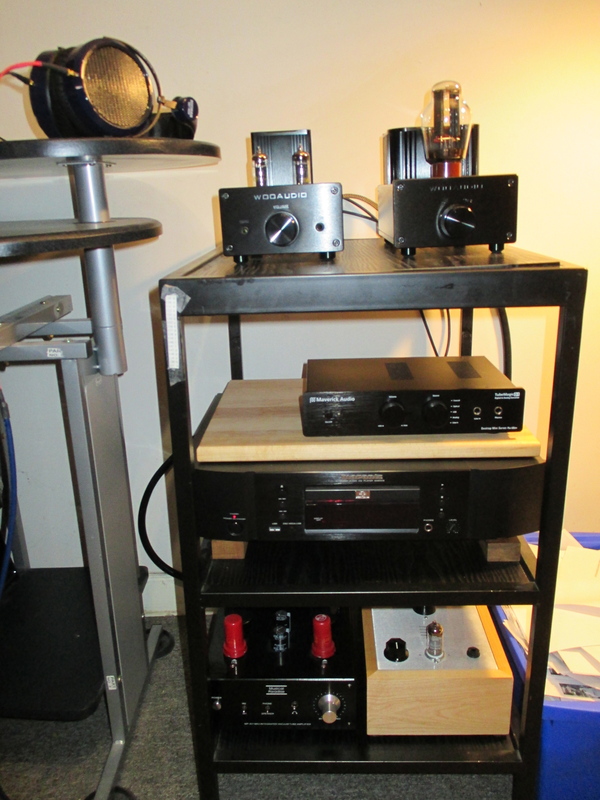 As for amps, I compared the WA6 SE with my self-made Bottlehead Crack amp, a Musical Paradise MP-301 mk3 Deluxe 2013 edition, a Maverick Audio TubeMagic D1 with upgraded op-amps and NOS tubes, as well as an Audiolab M-DAC’s headphone section. Only the Bottlehead and the Musical Paradise could compete, but ultimately the Woo left them in the dust. I also spun some vinyl via my Project RPM 10.1 with Dynavector 10×5 and Graham Slee Era Gold Mark V. I put this thing through its paces. I could do no other! It is utterly addictive. Left: the Crack stack. 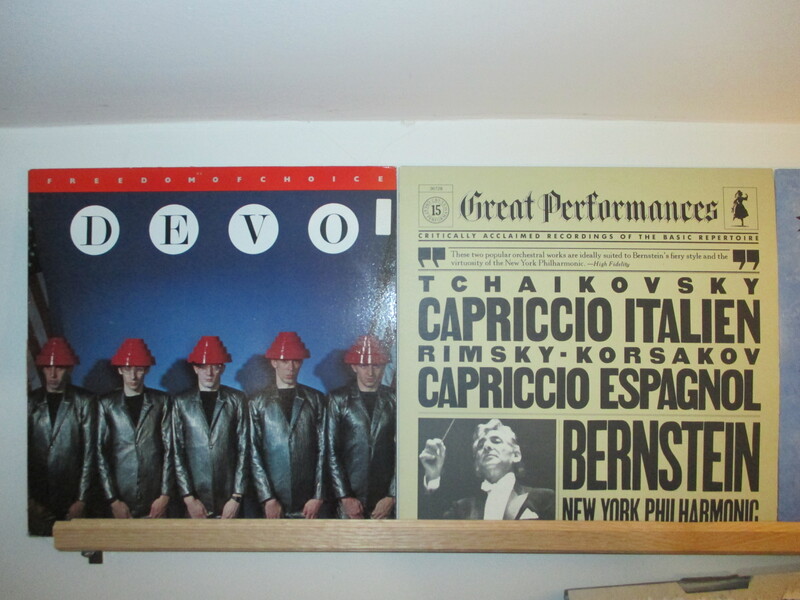 Right: the USA, incubator of iconoclastic genius. 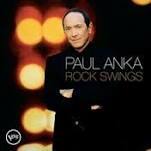 Paul Anka released his absurd but irresistible “Rock Swings” CD in 2005. It includes brilliant covers of “Blackhole Sun”, “Eyes without a Face,” and “Smells Like Teen Spirit.” I used this disc to test male vocals and I was not disappointed. 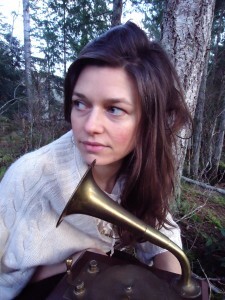 Compared to my Bottlehead Crack and my Musical Paradise amp, Anka’s voice was fuller, deeper, richer. There is a ton more room ambience. I moved on to an even more absurd collection, “Romantic Classics,” by Julio Iglesias. The second track, a cover of the Bee Gees’ “How Can You Mend a Broken Heart?” contains some very sweet, swirling keyboard work, possibly a Fender Rhodes. It really is fascinating to hear through the HiFiMans and the Woo amp. Every little undulation is captured. 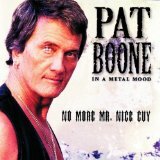 I reached for Pat Boone’s “No More Mr. Nice Guy,” an album recorded when he was ‘in a metal mood.’ But then I realized that I had sold it a few years ago. That was a mistake. Time to get serious and test this amp with female vocals worthy of the Woo. 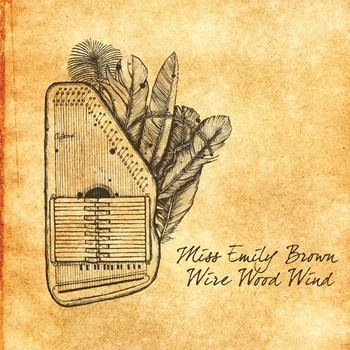 Emily Millard is known by her stage name of “Miss Emily Brown.” Folk is the predominant influence and sound but her music is the very epitome of eclecticism. 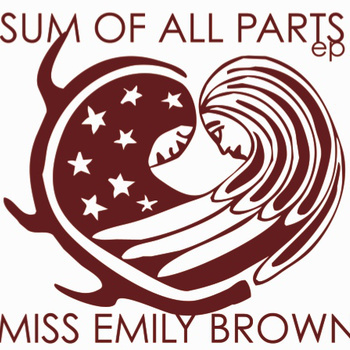 A typical album will include guitar, autoharp, synthesizer, cello, music box, glockenspiel, drums….and on it goes. 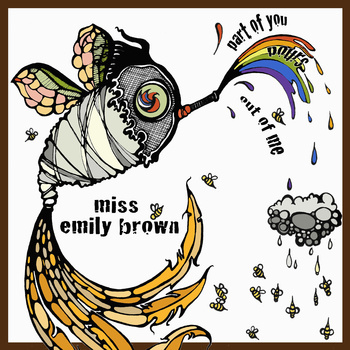 Her debut album, “Part of You Pours Out of Me,” is a gem. 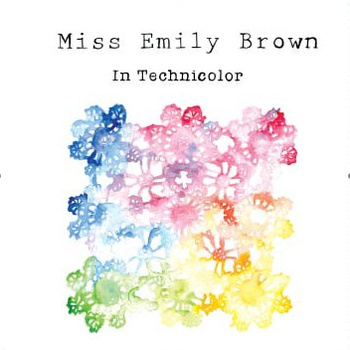 Miss Emily Brown hails from Iroquois, Ontario, along the St. Lawrence River. 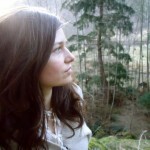 Her early music is filled with imagery of the Canadian wilderness and wildlife too. I have seen her in concert twice. She is utterly mesmerizing. There are several concert clips on youtube. As I recovered from the trance-like effects of listening to Brown through the Woo, I moved back to Bill Evans at the Village Vanguard. This is one of the best live jazz recordings in existence. Somehow Evans, LaFaro and Motian came together as a band and in a very short time revolutionized the very concept of the jazz trio. The gentle joust between Evans and LaFaro on “Some Other Time” is filled with sadness; through the Woo, LaFaro’s double bass seems to cry in a particularly plaintive tone. 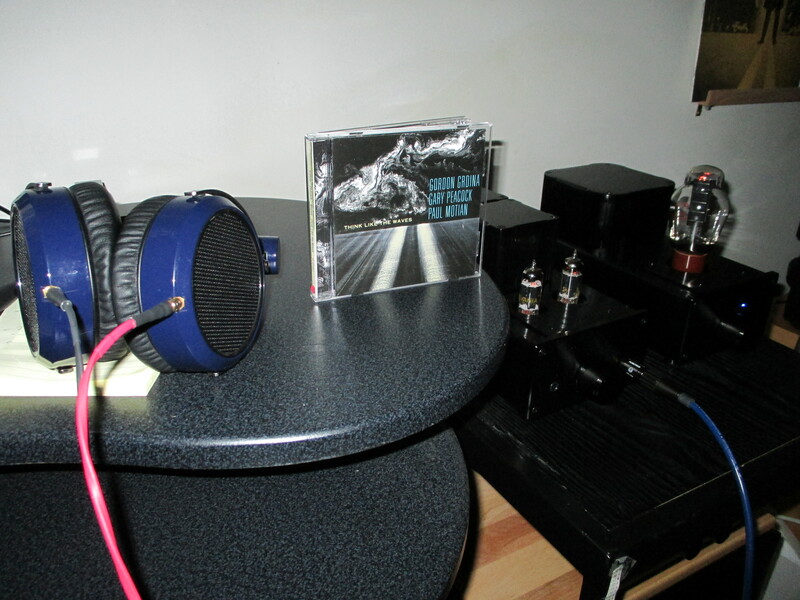 My Bottlehead and Musical Paradise don’t convey the emotion. At 5:18 and again at 5:21 on the track “I Loves You Porgy” (still the most beautiful rendition of this standard), a woman can be heard laughing. Through the Woo you would swear that foolish woman was sitting right beside you. Hindsight is 20/20 but sixty years after one of the greatest recordings of the twentieth century, one is amazed at how blissfully ignorant so many people in the audience seem to have been. Perhaps a dozen people can be heard talking regularly throughout several of the tracks. Did they not realize the magic that was unfolding before their very eyes? LaFaro’s bass got me thinking of other great bassists. 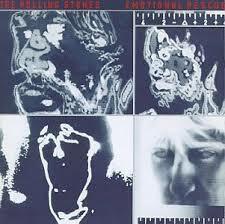 I opted for Bill Wyman’s brilliant playing on “Emotional Rescue.” (He saved the best for last.) Powered with a robust amp, my HiFiMans are capable of deep, rich bass. I don’t have my Burson on hand any more, but I’m pretty sure that the Woo produces the driest, tautest bass I have heard through headphones in my home. 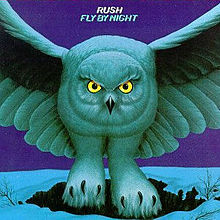 And on it went… Geddy Lee on “Best I Can” (from the album “Fly By Night”) was next. Now there’s an underrated gem, and as good a test as any of an amp’s PRAT (pace, rhythm and timing), its boogie factor. I was tapping my toes to this tune. The Woo is up to the task. It has the muscle of a Burson with the holographic sound staging of my Bottlehead Crack. But it makes my Crack sound thin and anemic. 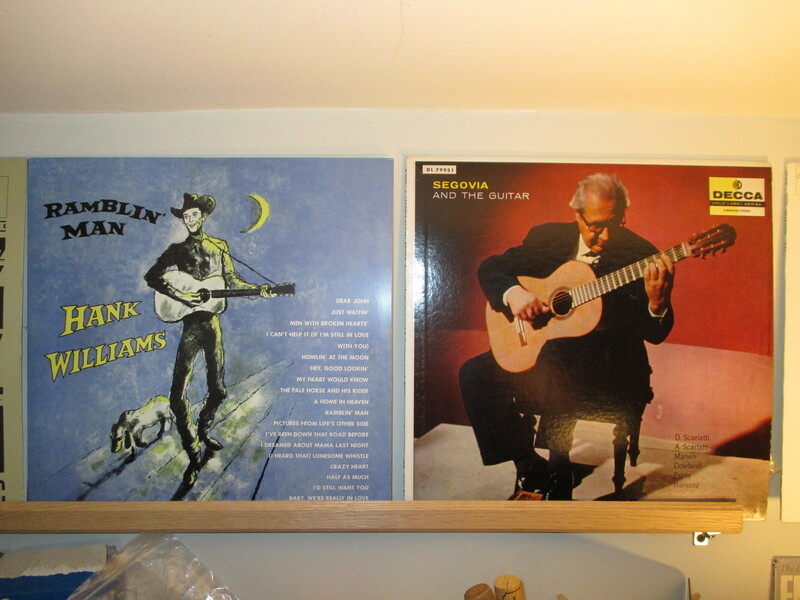 Hank Williams’ “Ramblin’ Man” on vinyl, from the Doxy record label of Germany. No other label has done such a good job of eliminating the nasal shout that so often mars Williams’ tinny recordings. It doesn’t get any better. Through the Woo, Segovia is simply seductive. The Woo does it all: it plays complex, driving music with ease. 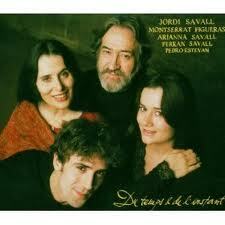 It captures the tone of Jordi Savall’s viola da gamba better than any loudspeaker amplifier I know except my Line Magnetic 518i a. The WA6 SE is not euphonic. If you want to take a warm bath in a thermionic stew, perhaps Woo’s WA2 is for you. This amp is more straightforward, more accurate, less hazy, less lazy. Less romantic, perhaps, but fast and true to life. In short, a touch of solid state, but without the etch and glare. 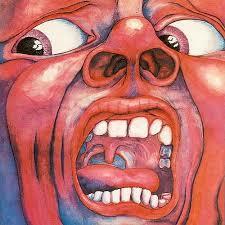 On King Crimson’s “I Talk to the Wind” (from “In the Court of the Crimson King”) Greg Lake’s voice is otherworldly and the flute seems to float above him. All the holographic magic of tubes is on display. 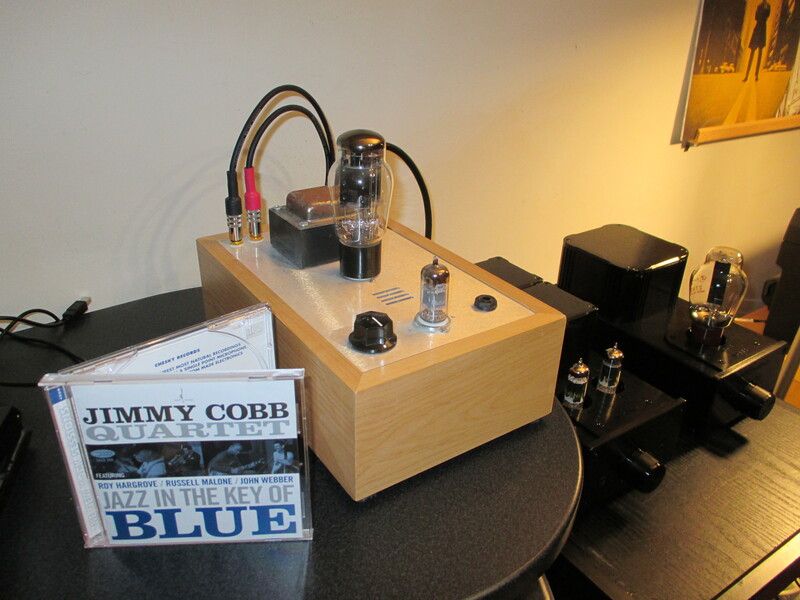 On the brilliant CD/SACD “Jazz in the Key of Blue” by the Jimmy Cobb Quartet, the Woo can keep pace with the SACD layer as the highs of Roy Hargrove’s trumpet climb ever so steeply–think north face Eiger–without getting shrill. 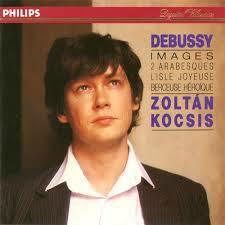 The Woo keeps pace with Zoltan Kocsis’ blistering rendition of Debussy’s Suite Bergamasque. This is a perfect amp. Therefore I am pleased to award it a Gold Star. Elekit’s astounding TU-8300R: Is this the world’s best $1000 amplifier? Amplificateur pour écouteur avec source de courrant autonome avec paire d’écouteur Spirit Classic de Focal.